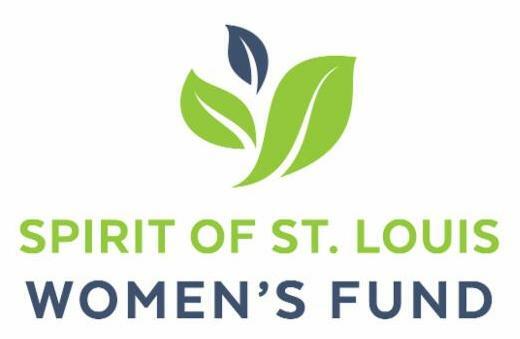 As collective giving continues to grow nationwide, a report released this month by the Women’s Philanthropy Institute and the Collective Giving Research Group, provides a deeper understanding of how our women-driven movement is changing and shaping philanthropy. report affirms previous research that collective giving donors invest more to their communities, invest more strategically and proactively, invest to a wider array of non-profit organizations, volunteer more, and are more likely to engage in civic activity. Collective giving member’s social networks were increasingly more diverse than non-collective giving donors. This is fantastic news! In an increasingly insular world, collective giving is an opportunity for us to build wider social networks. Diverse influences guide us to better investment decisions on critical needs and help build stronger bonds with our community. WE NEED YOUR TALENTS IN SOS LEADERSHIP ROLES! 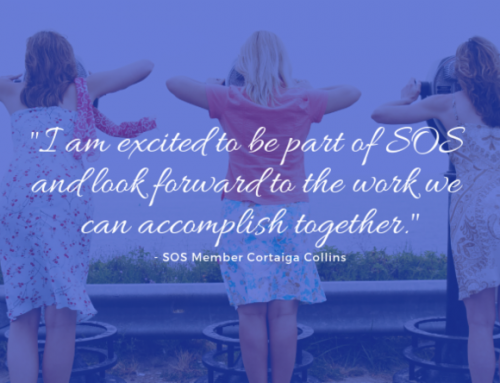 Members of SOS bring valued skills, perspectives and talents that ensure our organization remains relevant and connected to our community. We rely on our active network of members to rotate leadership on our board. COUNT ME IN FOR 2019! Renew your membership for the 2019 Grant Season. to be counted in the 2019 Spirit Award Grants. If you are on a monthly payment plan, no action is necessary! Thank you for your support! Many SOS members registered for this event that was canceled because of snow. If you registered previously, you are still on our registration list, and we hope you can attend on the new date. Paid registrations will roll over to the new date. If you have not registered but can attend on this new date, please register! National Conference held October 21-23 in Philadelphia and hear from our members who attended. 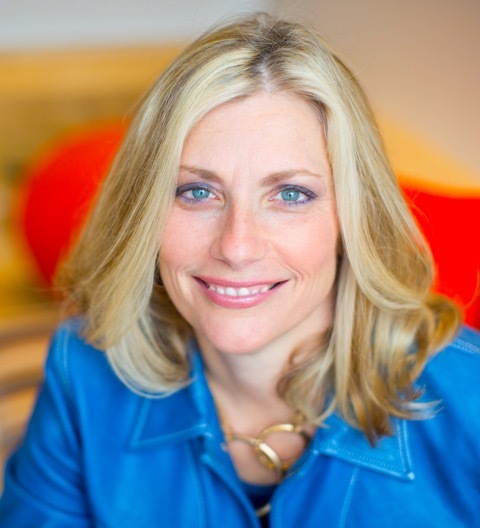 Vicki Sheehan, an SOS board member and past president, will be our speaker. Vicki, the national WCGN Board Secretary, will provide a personal perspective on this amazing network of women who pool intellectual and financial capital for the common good. Join us Friday, Dec. 14! Join us to discuss “The Color of Water: A Black Man’s Tribute to His White Mother,” a powerful book by James McBride. SOS members Karen Kalish and Gretchen Curry look forward to leading the discussion. Please join us as we celebrate the season and each other at our annual holiday gathering, graciously hosted by Susan Block. The view from the 17th floor of the Chase is spectacular – only to be exceeded by the warmth of the conversation inside. 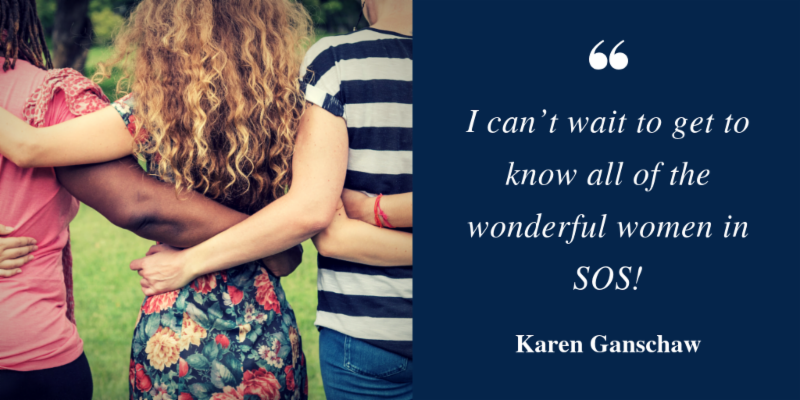 This is a great time to introduce new women to SOS, so please bring friends! There is no fee to attend this event, but RSVPs are required because guests must be checked in at the front desk of the Chase Residence. Street parking is available along Maryland, but is limited. Free parking is available in the Chase Park Plaza garage off Maryland Avenue. Pick up a ticket at Susan’s to use with your ticket exit the garage. id valet parking is also available at the main entrance of Chase Hotel. The Residences are to the north of the main entrance. Bess Wilfong from Angel’s Arms will be the speaker at our annual holiday gathering. Do You Want to Actively Participate in the Grant-making Process with SOS? Sign Up to Join a Site Visit Team by Decembers 31! Site visits provide the opportunity for SOS members to learn about local nonprofit organizations and interact with the staff, volunteers and service population at individual agencies. You must sign up every year even if you have served on a Site Visit Team in the past. 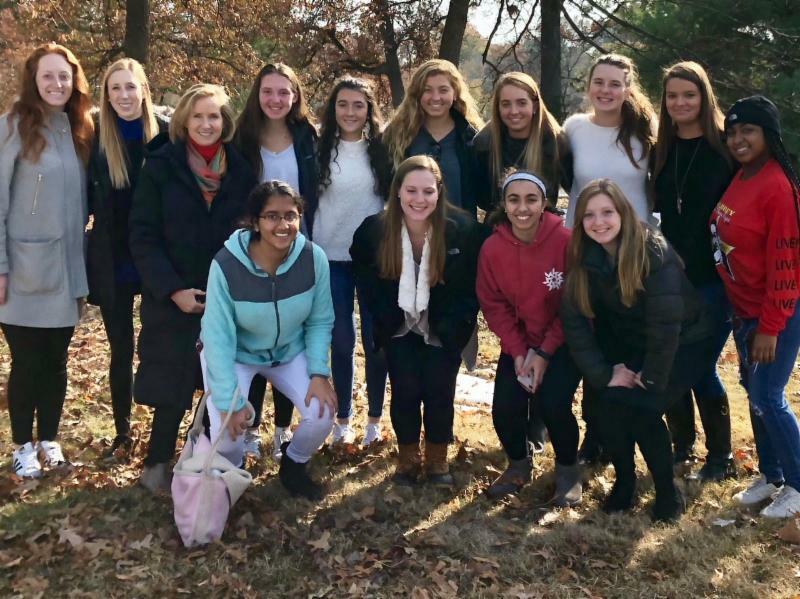 This fall, 20 girls from area high schools met on Sundays for a program in planned grant giving. This year, the grants focused on organizations using entrepreneurial programs to enhance the lives of area youth in need. 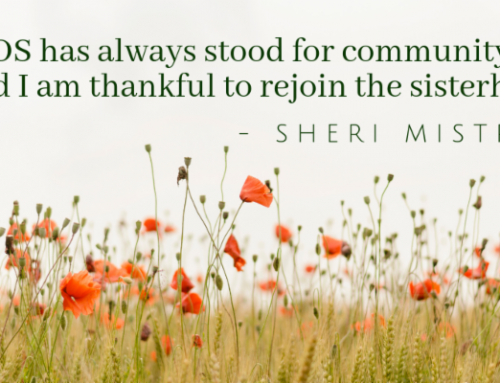 Throughout the fall, various community women met with the girls to share their expertise. , an SOS member and chair of the SOS Finance committee, shared her story of philanthropy. , on staff at Washington University’s Brown School, met with the girls and shared the latest research out from For the Sake of All (Health Equity Works). The research she shared showed how providing critical data inspires collaborative community action to improve systems for the health and well-being of St. Louisans. , Director of Nonprofit Services for BDO, worked with the 990’s and budgets of each of the organizations receiving grants. 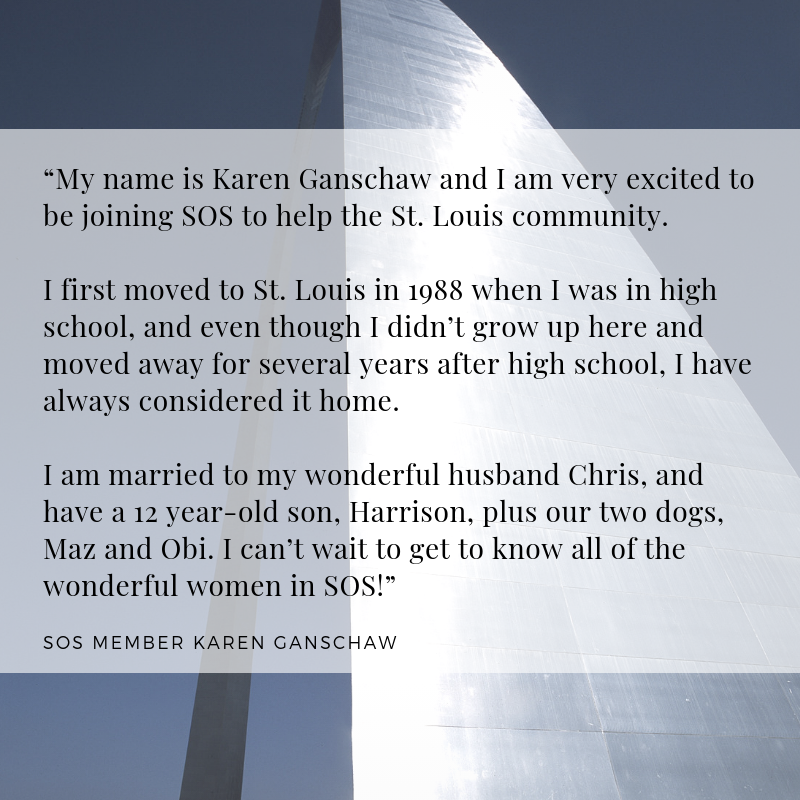 Do You Follow SOS on Facebook? , commenting on our posts and sharing them in your own newsfeed. The more engagement we have on social media, the more people know about the impact our grantees are making in the community. 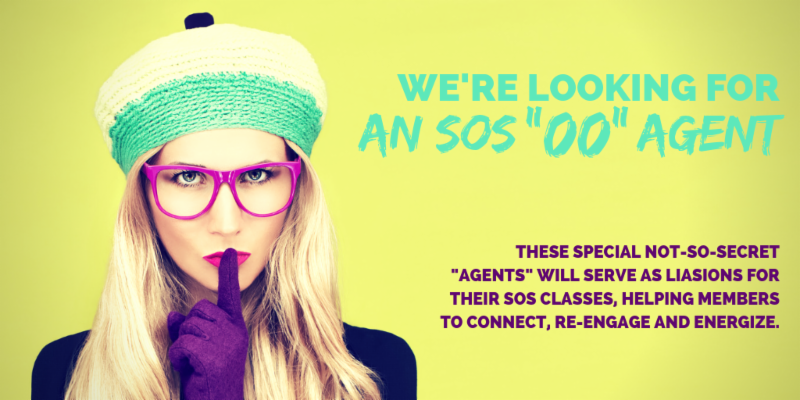 – agents assigned to each class will contact members for updated personal information as well as send reminder emails before SOS events. Your Class Agent will be in touch soon! 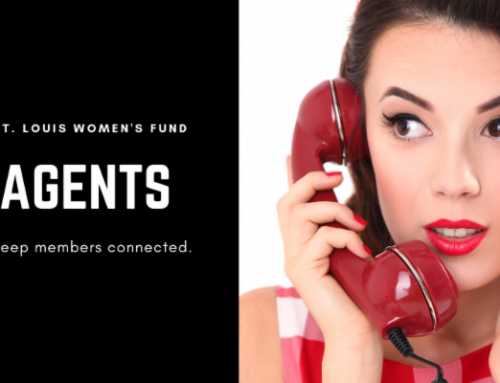 December 4, 5:30 to 7 p.m.
Join us for an empowering evening as we learn about Women’s Collective Giving Grantmakers Network from Vicki Sheehan, past SOS president & WCGN national board secretary. We’ll highlight the WCGN conference, & hear how this network of women powered philanthropy has invested $110 million in communities. We’ll also enjoy appetizers, desserts & wine. December 7, 9 to 11 a.m.
Home of Susan Block, 232 N. Kingshighway #1701, St. Louis, Mo. 63108. 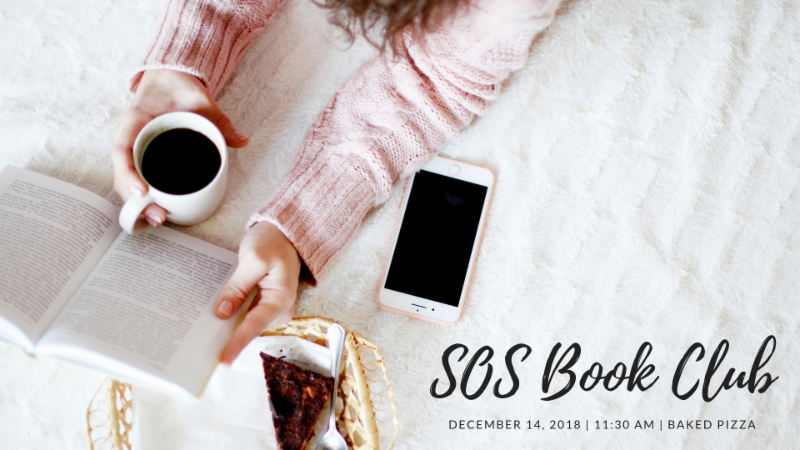 December 14, 11:30 a.m. – 1 p.m.